After a party-turned-rager that nearly destroys his home, 17-year-old Miku is doomed to spend the rest of the summer with the family at their cottage. It seems like a hopeless situation, but this Nordic summer has something else in store for him. Available now on Dekkoo.com, Tongariro.pl, Amazon.com, Amazon.de, Amazon.fr and Amazon.co.uk! After seventeen year old Miku’s party turns into a destructive rager he’s exiled to his parents family cottage. Forced to spend the rest of the summer in the calm of the Finnish countryside, Miku is frustrated and bored out of his mind. 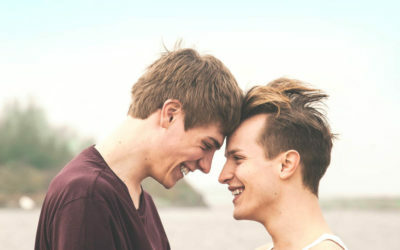 Quickly things become more interesting when he meets Elias, a confident and openly homosexual boy of the same age. Miku is pulled into an even wilder adventure when Elias forces him to deal with his repressed sexuality while Miku’s parents marriage is disintegrating. Elias’s own family and relationship issues also rear it’s ugly head as erratic behaviour that confuse Miku and turns what was supposed to be a fun and care-free summer into an emotional rollercoaster. Known for being quiet and withdrawn, Miku must find a way to take charge if he is to ever get what he wants. This summer, Miku wants Elias more than anything. Pihalla up for audience award at Jussi-gaala! We're up for the audience award at Jussi-gaala! Vote for us here and watch the gala on 22.3. Our friends from A Moment In The Reeds are also up with Janne Puustinen and Boodi Kabbani running for best male performances <3. 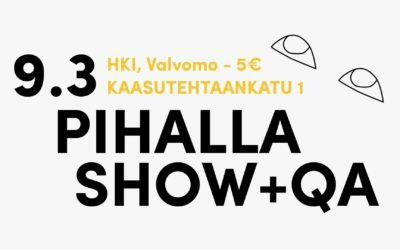 We're doing a show and QA for Uudenmaan LihastautiYhdistys in Suvilahti 9.3, 15:00. Entry is 5€ and all proceeds go to ULY. Address is: Kaasutehtaankatu 1, Helsinki, building 11 (Valvomo). See ya!